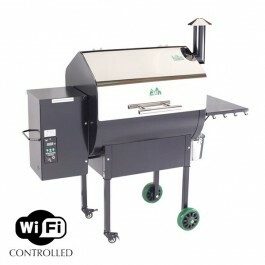 The Daniel Boone WiFi Model comes with a digital WiFi controller (control and monitor through our iOS orAndroid mobile application), a meat probe, a peaked lid for stand-up chicken/ large fowl/ rib racks, a convenience tray with utensil hooks, hard rubber tires and a venturi-style firebox for cyclone combustion. It also has Sense-Mate, a thermal sensor which constantly monitors the ambient temperature. When it gets cold outside, it kicks the grill into Turbo mode so you don’t have to wait long for the grill to heat up! 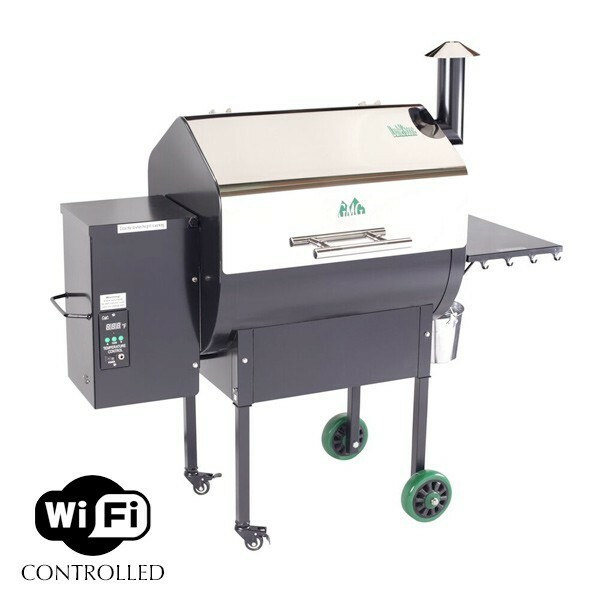 Other features include a positive pressure hopper fan to prevent burn-back, “fan only” mode with automatic shut-off to blow ash out of the firebox after you finish grilling, a 27X16 (Approx 432 sq. in.) 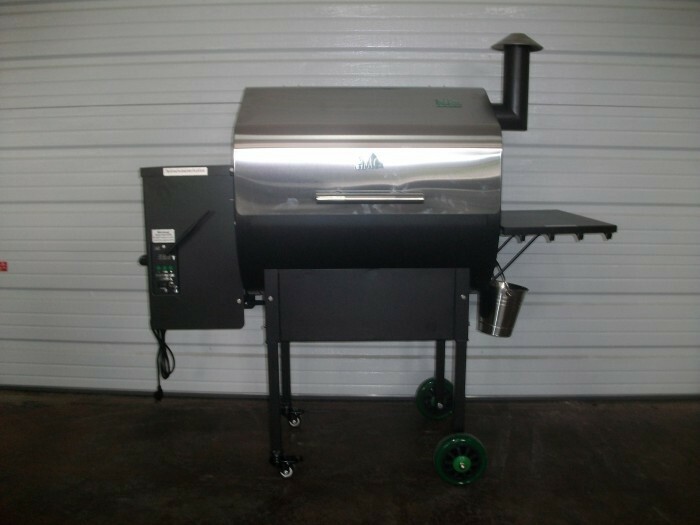 stainless steel grate, and 13.5” clearance inside. It weighs 155 pounds. 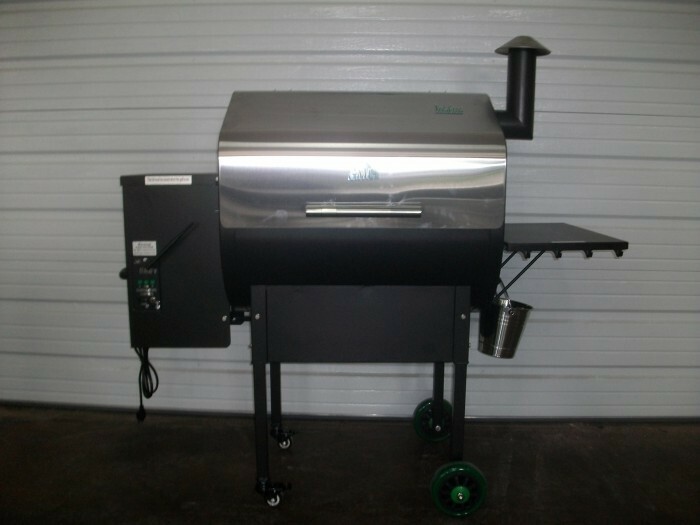 Available options include a stainless steel no-warp lid, form-fitted grill cover, and a dome thermometer.